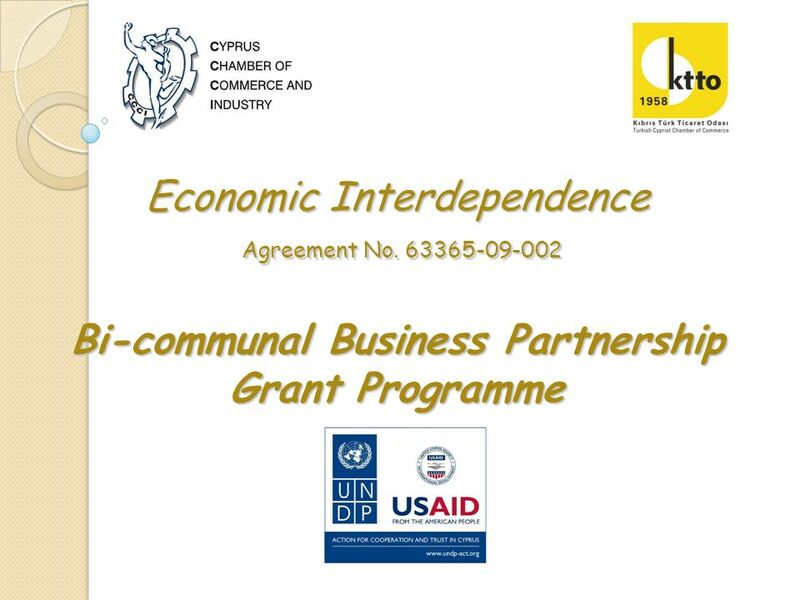 Economic Interdependence Agreement No. 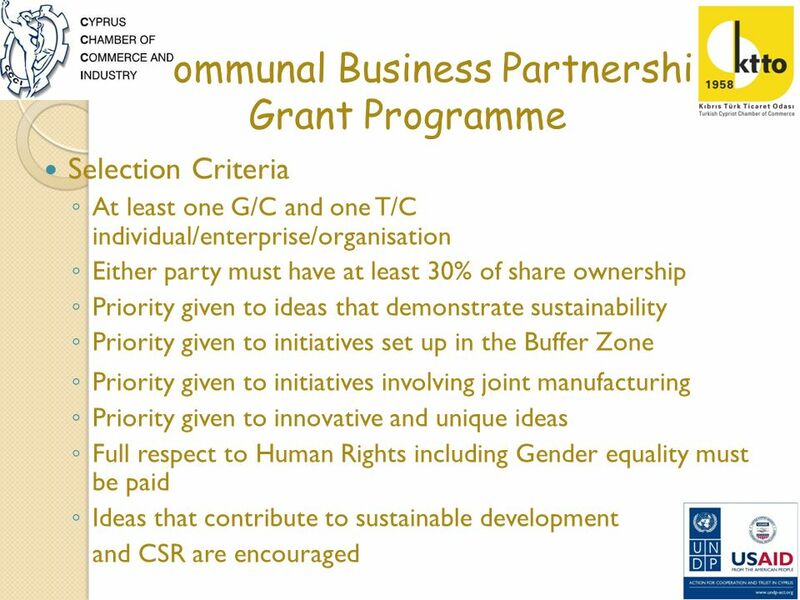 63365-09-002 Bi-communal Business Partnership Grant Programme. 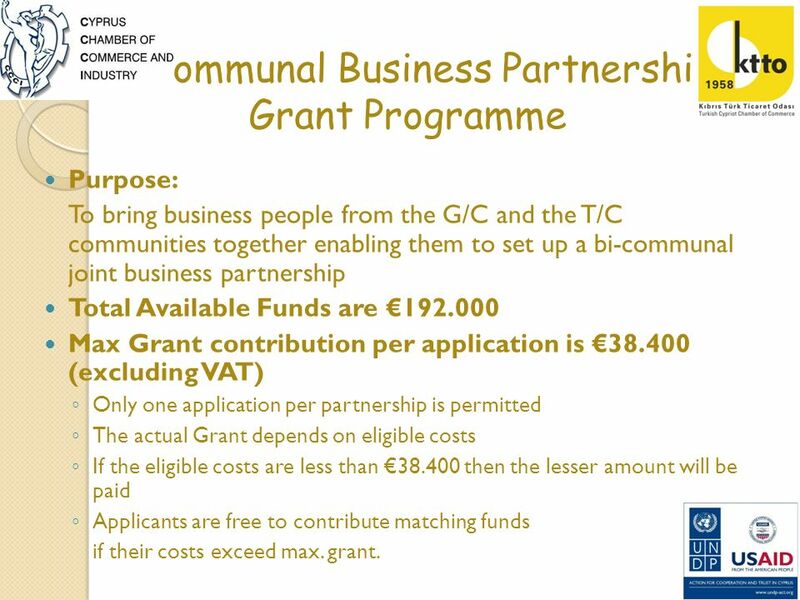 3 Bi-communal Business Partnership Grant Programme Purpose: To bring business people from the G/C and the T/C communities together enabling them to set up a bi-communal joint business partnership Total Available Funds are 192.000 Max Grant contribution per application is 38.400 (excluding VAT) Only one application per partnership is permitted The actual Grant depends on eligible costs If the eligible costs are less than 38.400 then the lesser amount will be paid Applicants are free to contribute matching funds if their costs exceed max. grant. 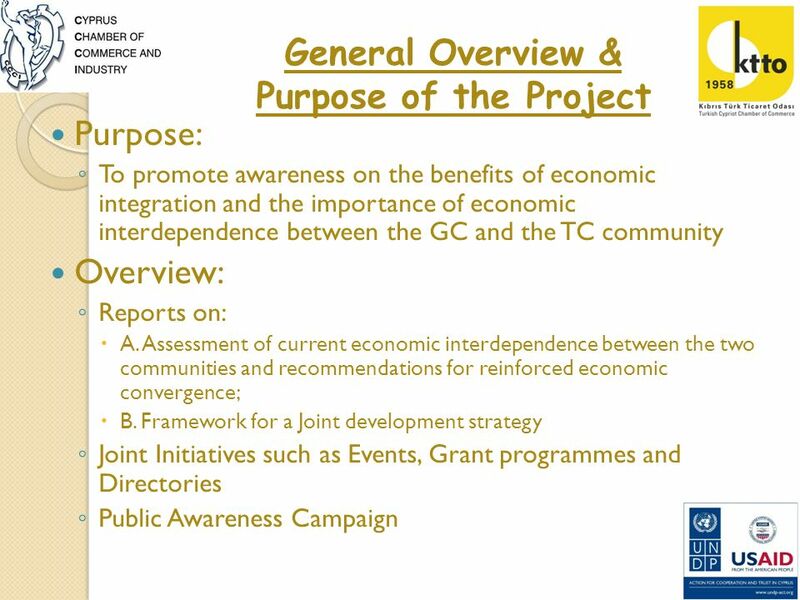 Download ppt "Economic Interdependence Agreement No. 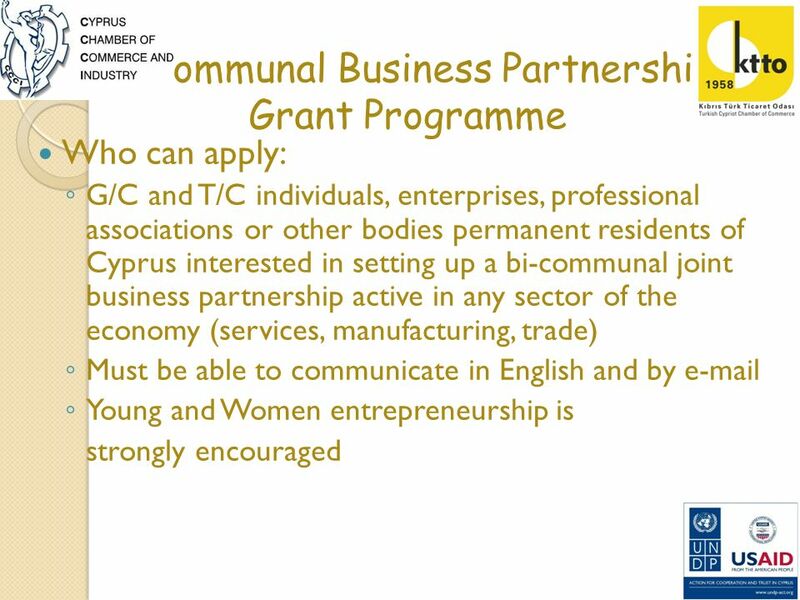 63365-09-002 Bi-communal Business Partnership Grant Programme." Belarus Denmark Estonia Finland Germany Latvia Lithuania Norway Poland Russia Sweden Eligibility of expenditure - Relevant rules and regulations BSR INTERREG. 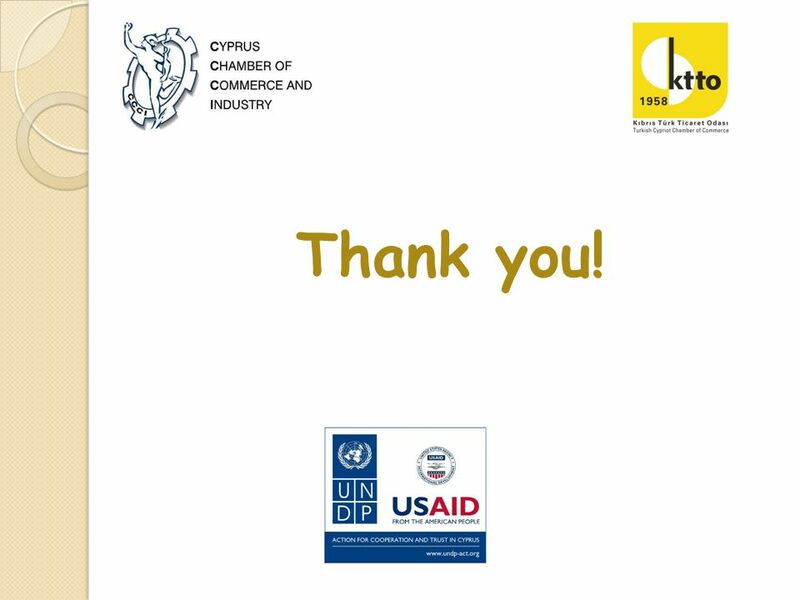 Science, research and development European Commission THE FIFTH FRAMEWORK PROGRAMME B. Magis ACT/campagneinfo/slides/AG/AG6/5FP/conparEN.ppt. 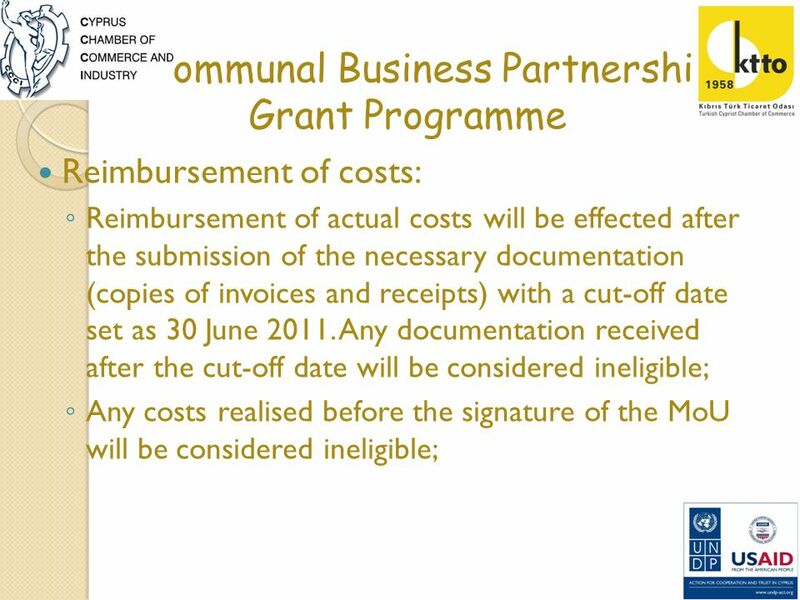 3 rd Financial Managers Seminar Brussels 19 May 2010 Eligibility period and reporting eligible expenditure. 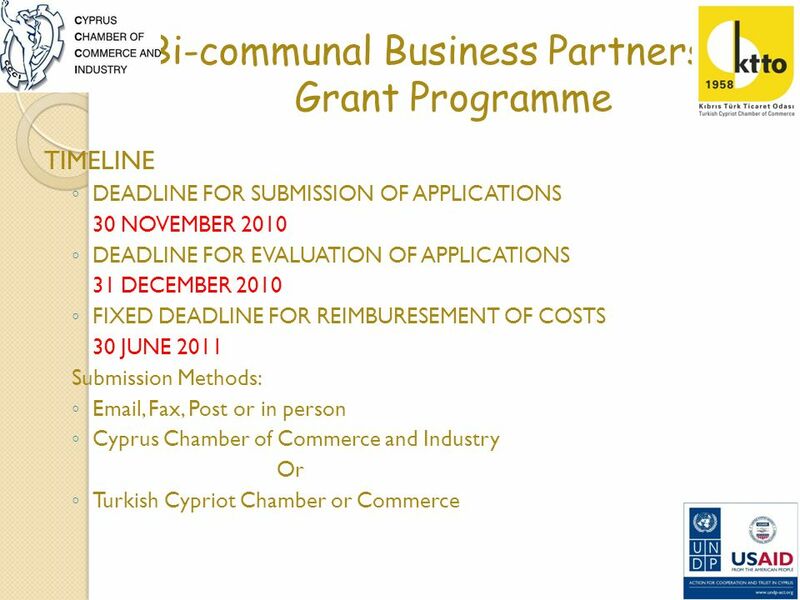 Launch of the ESPON 2013 Programme Procedures for Call for Proposals under Priorities 1-3. 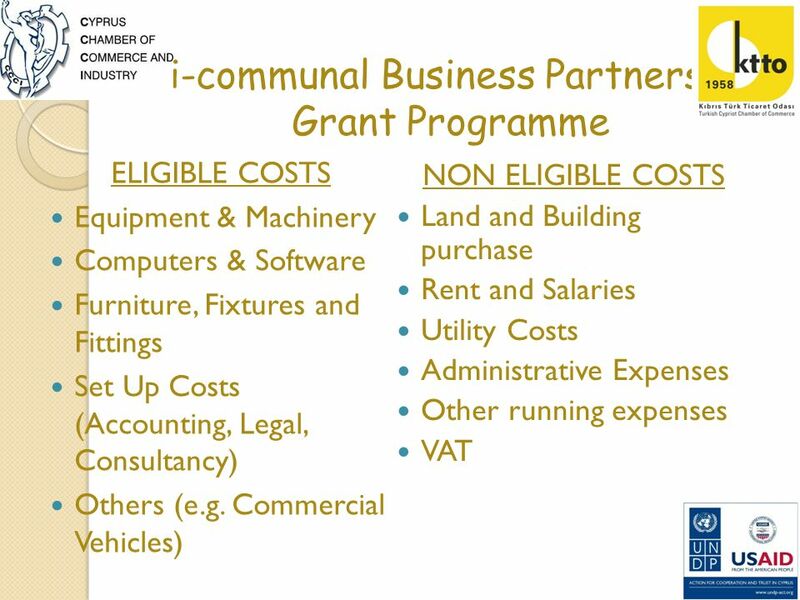 Mauro Pace Parascandalo Small Initiatives Support Scheme 2012 under the Voluntary Organisations Fund within the Malta Council for the Voluntary Sector. 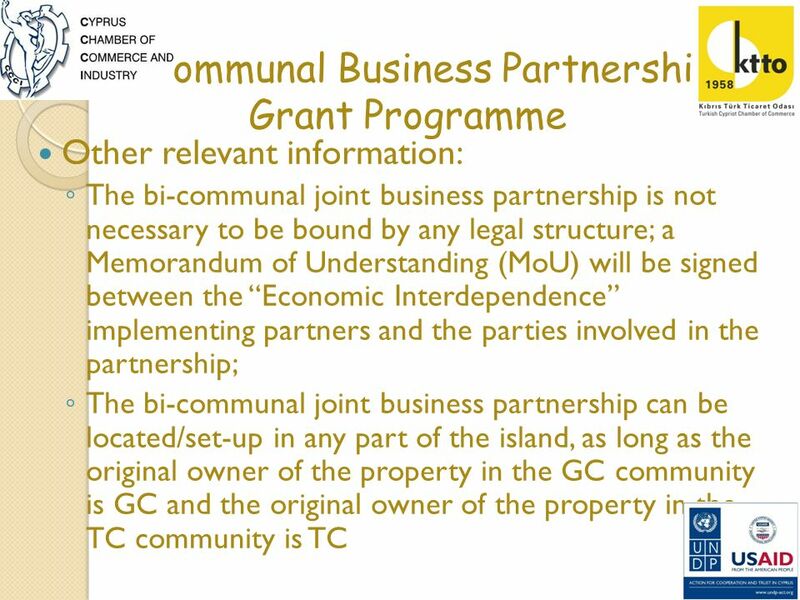 SECTOR SKILLS ALLIANCES TOURISM AND CATERING GRANT AGREEMENT NO. EAC PRESENTED BY DR SHYAM PATIAR. BLAGOEVGRAAD ELIGIBILITY OF EXPENDITURE MANAGING AUTHORITY OF EUROPEAN TERRITORIAL COOPERATION PROGRAMMES. Virginia Housing Coalition 2013 Housing Credit Conference Deal Structuring, Fundamentals, and Financing and Legal Issues. 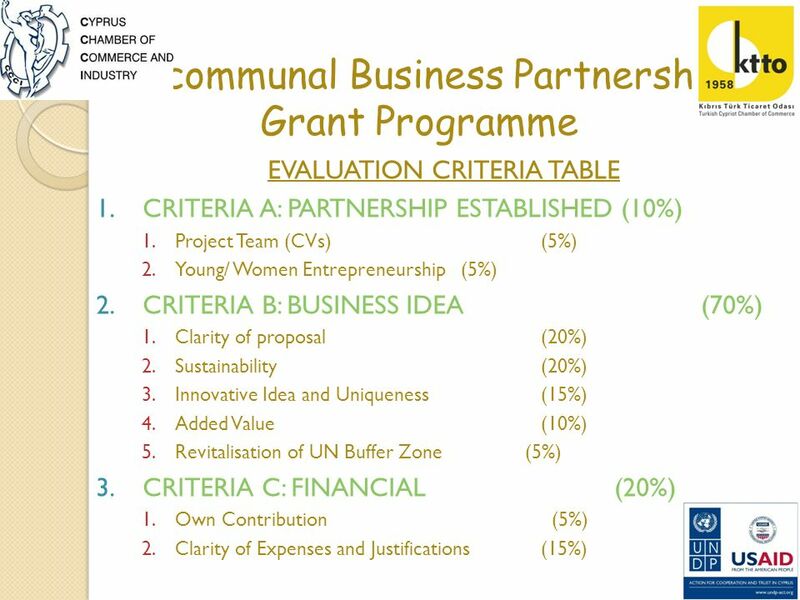 Practical Information and Guidance to Applicants Green Industry Innovation Programme Romania July 2014 Practical Information and Guidance to Applicants.